Kuroda's coma is a very interesting topic at least for me. 3) His amnesia about some parts of his memory. These three things are very curious, but after doing a little bit research on hair whitening, change of looks during coma and the amnesia these three things are not really that much suspicious looking anymore, though not beyond doubt. The hair whitening due to increased Hydrogen Peroxide due to lack of Catalase enzyme seems a legit cause. In Coma the enzyme activity of the body gets lowered so this can happen. Also it was mentioned that the nurse who opened up his facial bandage was surprised due to the change of his hair and looks. It never means that the same nurse when bandaged him saw his black hair and original look and within one dressing the whole stuff changed. So now with this notion out of the question,would it mean that the nurse had seen Kuroda before and was shocked to see his hair turning white and the change of his facial features? Also burning scars don't take that much of a time to heal, not surely 10 years. Even if it was a third degree burn needing skin grafts, it would get healed within one year. Also only his right face shows burn marks not his entire body. Also the scars indicate skin graft wasn't needed. So surely it was very unlikely that the bandages were still needed even at the fag end of his coma. Also there are problems with Kuroda was switched with "Fakuroda" theory. Don't forget the target here isn't your average Joe, he's an NPA agent lying in a Coma in Police hospital under top security. To switch him with someone, people would need help from the to echelon of NPA. So as of now, I'm having a different angle, what if Kuroda was the Japan's representative regarding the Kohji case? Now Kuroda gets closer to the truth and BO/Rum(more likely) attempts an accident to get rid off him. But fails to kill him. Now Kuroda after waking up is keeping a low profile and secretly working on Kohji case so that he doesn't get into Rum's radar once again. But currently Rum is on the move,(according) to the intel of Kir. So probably Rum has got the news of Kuroda waking up so he got flustered and is planning to put everything at rest for once and for all. What the hell that could be? Looks like the under part was just dirt, rather than an object. You mean dirt on her pants, right? That shape is even more shogi-like than before, but now it's especially clear there is still more junk in the trunk. 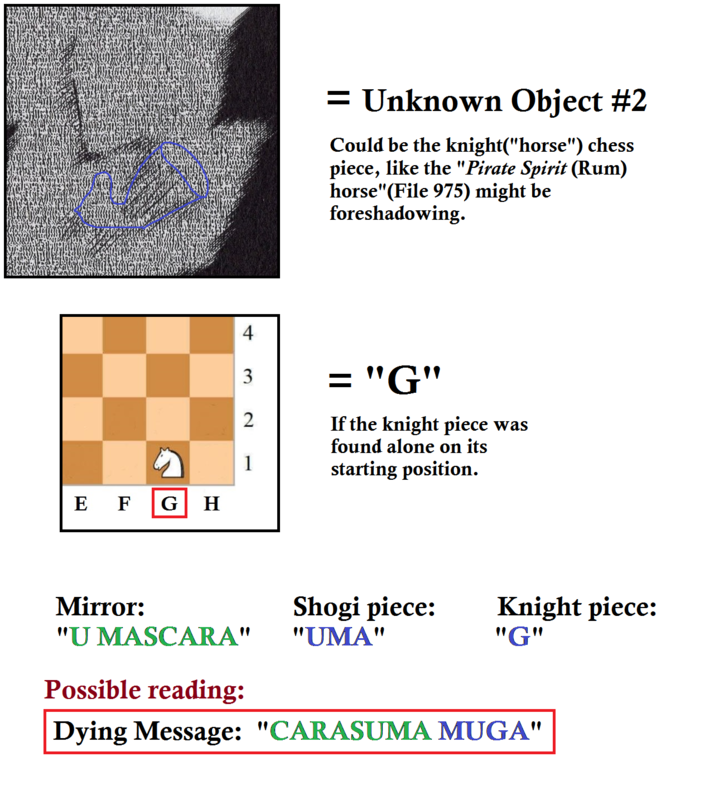 The second thingamajig is now more complicated so it absolutely is not another shogi piece as I earlier theorized. That deep shadow on the upper right part means it definitely has some bulk on one side, like it has a round base which tapers into another shape. I, without prejudice, scribbled a shape I thought best matched the shadows from my artistic perspective and it came out looking like a lopsided chess piece? Because it is kinda lopsided, a knight because that's the only one that isn't symmetric? Edit: the relative sizes are kinda questionable though, now that I look harder. It might be too small to be a chess piece even if the shape maybe fits. I'm not going to take it back or fix my artistic impression though because that would be twisting my "data" (more like my immediate innocent first reaction to the shape) to suit theories. Edit Edit: I did kinda draw my shogi piece a bit large, I think I could shrink that just a bit still maintain the correct lines and shape. Looking at it from an "object" perspective... it does look like it could be a horse(knight) chess piece. If you arrived at that conclusion independently, I feel better about it. I didn't know what to expect when I started my shadowshape sketch, but your one's subconcious loves to bias things even if you want one wants to be completely objective. I wonder how other people will think. If you arrived at that conclusion independently, I feel better about it. I didn't know what to expect when I started my shadowshape sketch, but your subconcious loves to bias things even if you want to be completely objective. I wonder how other people will think. I'm not biasing anything. If I were to look at it as an object, then calling it anything at all is in my opinion grasping at straws(since the broad lines gave me the initial impression of dirt lines, due to its similarity to the other dirt-like marks in the previous panel). 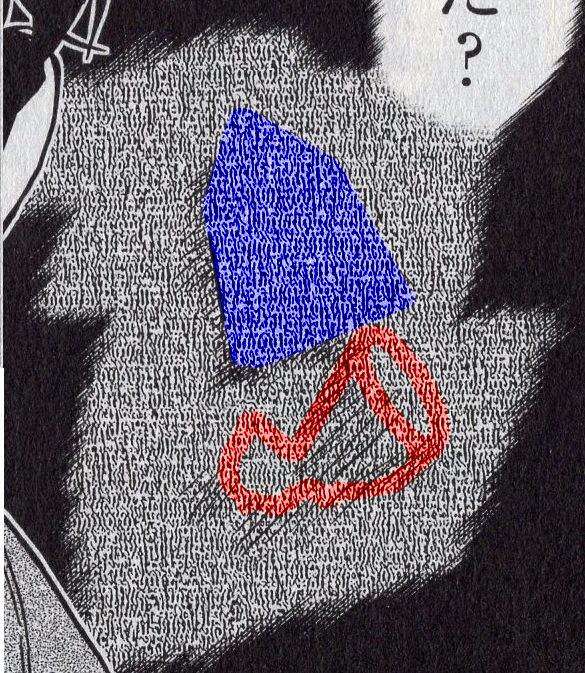 I don't think that Gosho isn't taking into consideration that she fell, and with the ambiguous shape under the main object(that called for all kinds of speculations) in the original version, this Volume fix could easily also be him "erasing" that ambiguous element because it wasn't relevant enough or too misleading and didn't get the point across. Unlike the main object, this under "thingy" doesn't have any defining bold lines either, which further has me doubting its relevance. Sorry, I didn't mean you as in "you, MeitanteixX". I was using the more informal generic second person pronoun set (you, your, yourself) in place of the formal generic third person set ("one", one's, "oneself") because it sounds excessively formal and kinda pretentious in forum postings. I edited my post. About the lack of bold lines, I think that means it probably isn't flat with hard edges like a shogi piece, and is instead something more three dimensional and wouldn't cause such lines in a pocket. I guess. This one is especially ambiguous, more so than the main object(which is already ambiguous enough). This is my Wakita speculation. So apparently Rumi has access to the APTX list, what could this mean? She is probably either some sort of a spy that infiltrated BO, or a member of it herself, in which case she is even more likely to be RUM maybe. She still seems too much like a red herring though. You got that right. If she's Rum, then she's had so many opportunities to deal with Shiho/Ai—the fact that she hasn't taken any of them is a red flag. I'd say she's got a pretty good chance to be the first 3rd party infiltrator of the BO (as in, she infiltrated the BO, but she's not a government agent), but I'm not ruling out her being—at least—somewhat connected to a government agency, or someone who's part of one. Maybe she gained access to the list not because she's infiltrating the BO, but because someone else in a position to have access to the list passed it along to her. Save for Hyoe, none of the other plot characters introduced in the Bourbon arc or the Rum arc have met Rumi yet—in fact, neither Hyoe (except for his encounter with Rumi) nor Kanenori have met other plot characters introduced in the Bourbon arc or the Rum arc, either (though Kanenori meeting Rei/Toru has been hinted at (981–983)). Rumi is probably Asaka. All those scar, she is or was a bodyguard or government agent. I still don't think Kuroda or the sushi guy is RUM... Surely Gosho won't make this arc too similar to unveiling Bourbon arc? 3 RUM suspect (with one real one) in the same page, really? I wish to be surprised. All suspect are actually RUM will be a twist, surely. 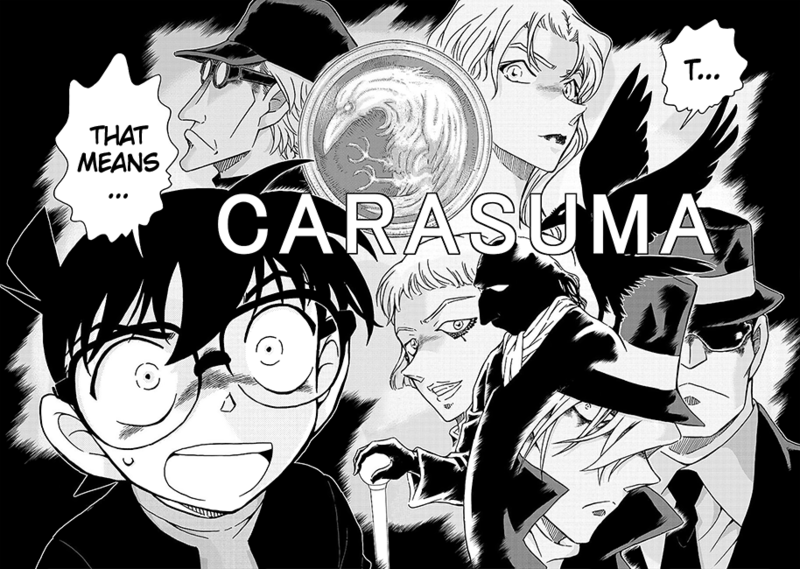 Surely Gosho won't make this arc too similar to unveiling Bourbon arc? 3 RUM suspect (with one real one) in the same page, really? 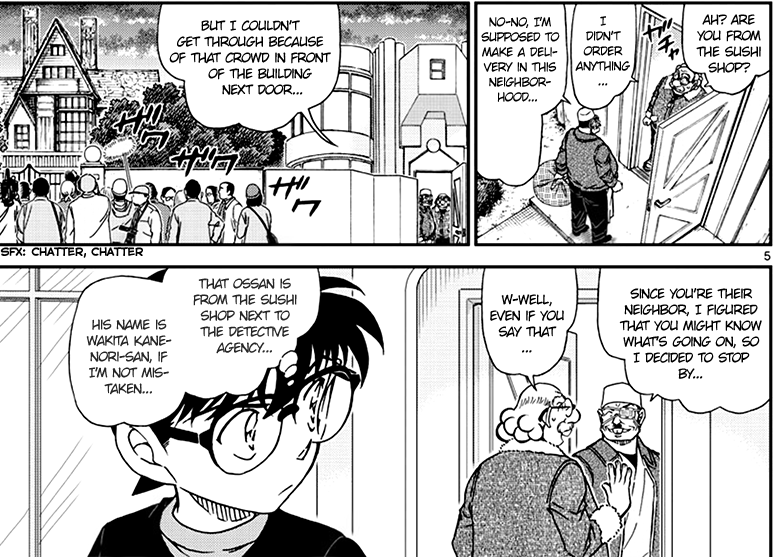 I think Gosho's aware of the parallels to the Bourbon arc, here, so I don't think it'll end the same (The guy who wants to be Kogoro's apprentice is the titular BO character of the arc). "RUM is 1 person (laugh)"
So the twist will be if none of our three suspects (Hyoe, Rumi and Kanenori) turn out to be Rum. Only if you assume there isn't a character who is to the Rum arc what Tomoaki Ariade was to the Vermouth arc—as in, the character who flew under the radar and only when some went back and looked over the arc, later, they'd go, "oh... that's why it was them." Out of curiosity, what was the biggest hint that Araide was suspicious? When he tried to defend Conan in the bus hijack(which is something Vermouth would for sure)? About Rumi, is there any way at all that she is affiliated with the MI6, or is it too early? I think there were some hints that MI6 may appear some day. Also about the three characters shown in 1005, Rumi represents the "feminine RUM," Kuroda represents the "old RUM," so Kansuke's friend represents the "manly RUM" then? He doesn't exactly strike me as very "manly" in appearance. Also in some of the moments when RUM's three silhouettes were shown, the manly RUM was muscular and big, by no means like this guy. Personally I think it's none of these three, but if I really had to pick one, I would actually pick Rumi. Yes, she is way too much like a red herring, but there are a couple of things. First, she is shown to be very very intelligent and strong. I believe in her first appearance she was shown to be better than Conan, she basically did to Conan what Conan does to Kogoro, which is a pretty big deal. She is probably at or close to Yuusaku's level, which, I might be wrong, but has never been the case for any other character in DC. Secondly, she is not what you would expect a BO member to be. You would expect a BO member to just capture Haibara and Conan, but she seems someone who is instead very curious about Conan, who she knows is Shinichi, and wants to learn more about him and the shrinkage. In other words she is not extremely loyal, or at least doesn't solely work for the organisation's sake, kinda like Vermouth. This is something I would expect RUM to be like, or at least not be surprised if RUM was like this. Another problem is of course RUM should be a guy going by the naming pattern. This might have an explanation, maybe she is someone who can change appearances(but not to the level of Vermouth, or even Yukiko). So when she was codenamed, she was either pretending to be a man, or BO just mistook her for a man. This would explain two of RUM's three appearances. But don't get me wrong, I'm not saying I think it's her, I think it's extremely unlikely it's her, but I think so for the other two as well. It would be a twist, given that Mary seems to be the one who'd be affiliated with MI6. You would expect a BO member to just capture Haibara and Conan, but she seems someone who is instead very curious about Conan, who she knows is Shinichi, and wants to learn more about him and the shrinkage. In other words she is not extremely loyal, or at least doesn't solely work for the organisation's sake, kinda like Vermouth. And this applies to Hyoe, too (File 920/Episode 815)—unless Hyoe's coma (if he is Rum) caused him to forget what Shiho looked like at age 7 and he never looked over any pictures of her after he awoke from the coma (doubtful, given that the BO would have to bring him up to speed on everything that had happened over the past 10 years). So that leaves us with Kanenori—and his parallels to Rei/Toru/Bourbon are too striking (works next to the Mori Detective Agency; wants to be Kogoro's apprentice). So he's just as much of a red herring as Hyoe or Rumi. I'd say Shogi is the key, in the context of this arc. Your Rum, theory is quite good but if Rum really was Muga, could Kohji had resisted like that? Won't one knee strike or elbow strike of Muga would have finished him off? Also if I just twist some a point or two of your description, I can easily fit Iori=Asaka theory and given his prowess I'm afraid that he might even be Mary drugger. "CARASUMA" was heavily implied to be the mirror-message of Kohji's dying message. 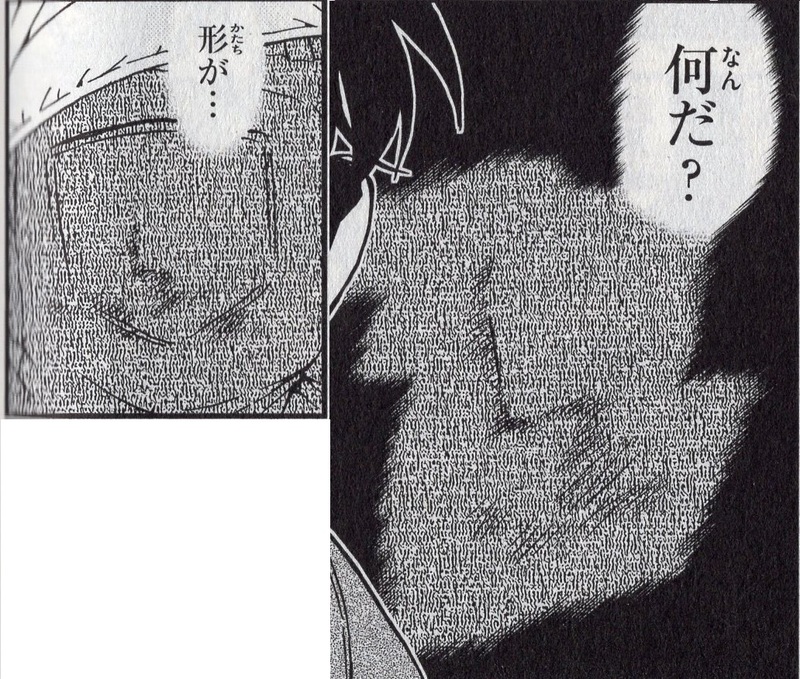 As predicted, it did end up becoming the most reasonable letter arrangement, and it further enforces the idea that the clenched scissor case (File 948-950) is Gosho's parallel to the actual case from 17 years ago, since the mirror message "CARASUMA" ended up being a surname, just like the glass message "SENBA". Wakita finally made his move. He went to Agasa's house to pry on Kudo Shinichi. This is a strong indication that he is interested in Shinichi for some reason. Following my suspicions about him being a Boss-associated BO agent, his actions does go in line with him wanting to confirm if Shinichi survived the APTX drug. 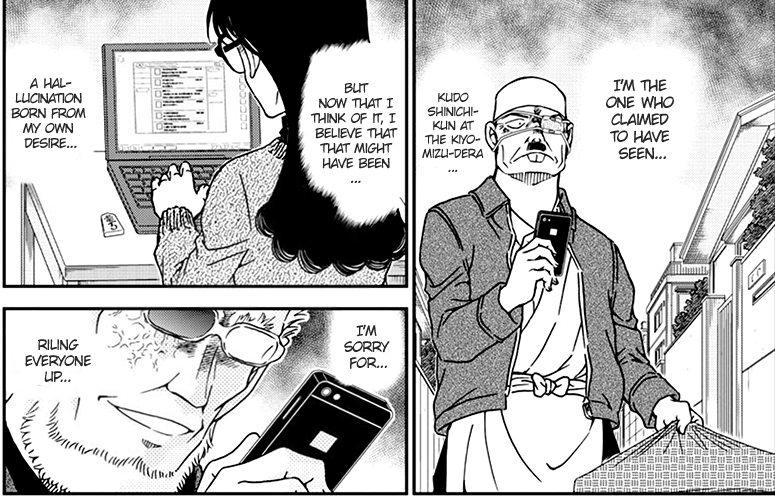 This was later followed by half a page dedicated to the Rum suspects, where we not only see Wakita giving off a serious reaction to the Shinichi cover-up, but also Rumi being in possession of a shogi piece. The shogi piece she had beside her was the "promoted bishop" abbreviated as "Uma"("horse"). If this is an indication to her figuring out, or being in a possession of, the missing object, that Kohji was clenching between his hand and scissor, that was taken from the crime scene, then this also follows my prediction that Kohji was using "UMA" as a part of the dying message. Since "Uma" means "horse", and we not only had the "horse" reference for the Rum movie cover but also directly used canonically in relation to "Pirate's Spirit"/"Rum"/the culprit of the Kohji case(File 975), it further foreshadows that "Uma" is most likely the right word from the piece. Same would imply if the shogi-like missing shape of "U" in the hand-mirror was hinting to the Shogi piece that start with "U". As for whether Rumi's shogi piece is the exact same one as the one that was taken 17 years ago, that is yet to be determined. Same goes for the object in her pocket, however, since Gosho revealed the shogi piece now, it lessens the chance that the object in her pocket is something else but the Uma piece. All that's left now is for the knight piece to be revealed, in order to complete the potential full name of Rum: Karasuma Muga. After the Rum-suspects scene, we finally got the awaited development that we have been waiting: an objective for Rum. We have been due an official goal for the antagonist of this arc, and this is our only confirmed goal that we have gotten from Rum. 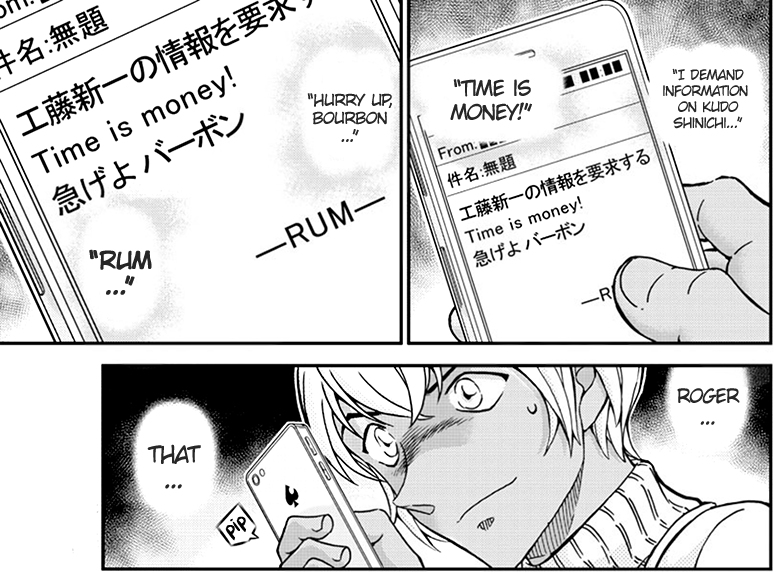 Rum sent a text to Bourbon demanding information about Shinichi, and that was followed by an english idiom "Time is money!". 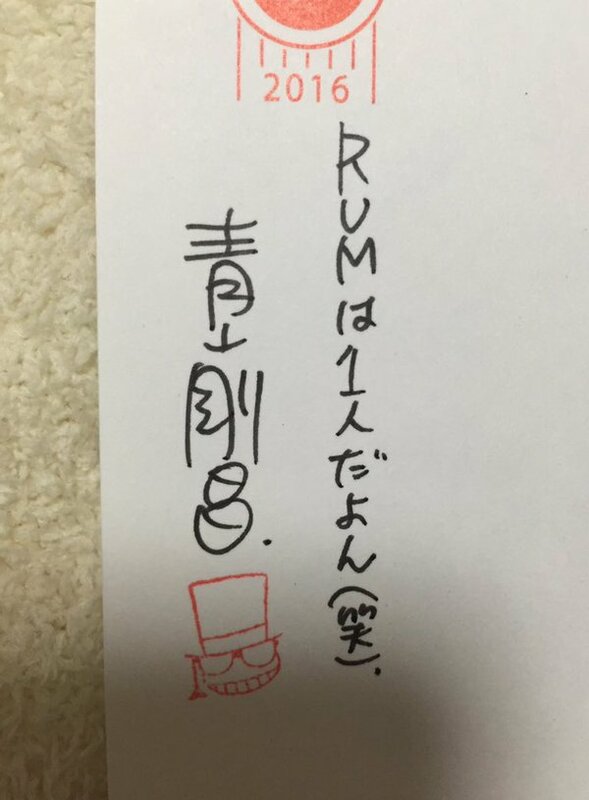 This is our first time getting a canon glimpse at Rum's writing, and the first unique thing we get is him writing in english. 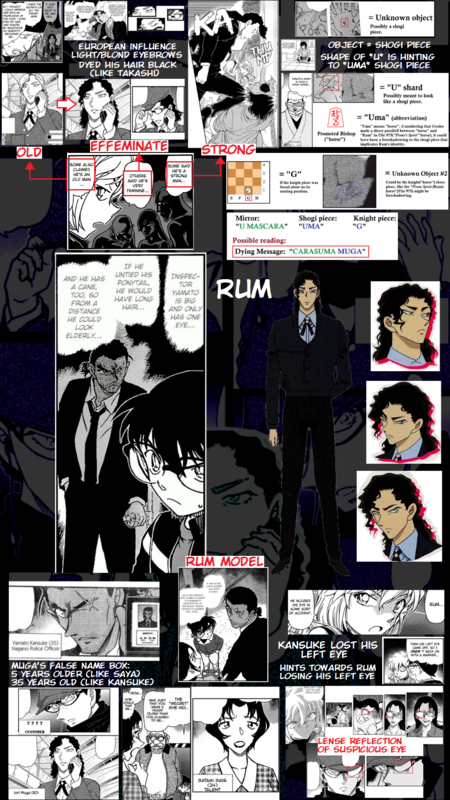 This could be Gosho's indication that Rum has been influenced by an english-speaking country. Following my theory about Muga being Rum, it does go well in line with him, since he was portrayed to have gotten European/British influence. A very interesting finding that the Japanese fans made was that "Time is money!" in Japanese ("Tokiwa Kanenari") is an anagram for "Wakita Kanenori". 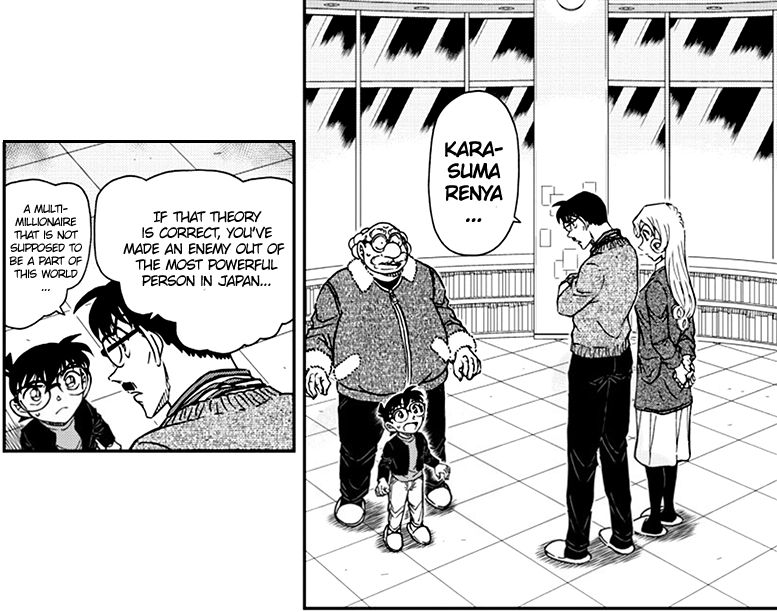 Considering that Gosho reminded us of Wakita's full name pages before this idiom was sent by Rum, it highly suggest it could be an intentional hint to that "Wakita Kanenori" is a fake name derived from the anagram of the idiom "Time is money!". Since Wakita was using idioms and metaphors in his introduction, it makes sense that he would use this idiom often as well (along with others like "It's like encountering a demon in the darkness"). 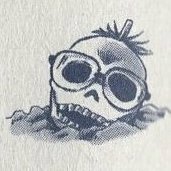 Just like my suspicion that Gin was using one of Wakita's idioms, this could be Gosho's hint that Rum is also using one of Wakita's idioms (which further supports Wakita's BO affiliation and his potential high position to be able influence agents like Gin, and especially Rum). Lastly, The biggest shocker was at the end, when Karasuma Renya was revealed to be, or at least have been, the Boss of the BO. According to Yusaku, he is the most powerful man in Japan. This means that it's very likely that a japanese like Haneda Kohji would know of the important figures in that family, so Rum's full name being known to Kohji makes more sense now (if Rum is a Karasuma).